Close automation software designed for midsize companies is relatively new. 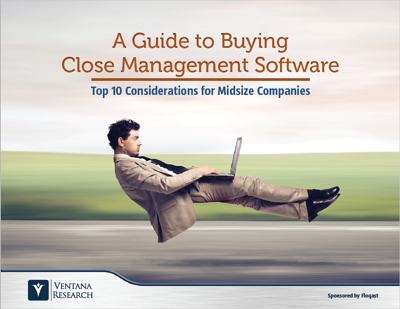 Successful midsize companies may find they need to automate their close when it takes longer to close, when mistakes, dropped balls and preventable delays increase, or if errors show up in financial statements or in an audit. Close automation software eliminates the disparate systems and informal processes that might have worked in a small business and puts everyone on the same page. Closing sooner makes performance information available sooner, keeping midsize companies nimble. Midsize companies need the same basic capabilities in close automation software as larger enterprises, but the software must be affordable and easy to use with a limited amount of training. what to consider in close automation software.